At the same time that Facebook is approaching a mind-numbing 1 billion users (there are 800 million, including one third of the population of the US), the New York Times reports that a small but steady movement of Facebook dropouts is growing. Our schizophrenic national psyche is being pulled in divergent directions - an effort to reclaim some semblance of privacy and friends you would actually recognize if you we're sitting next to them on the bus vs. the social-media marketed need to be connected to more and more people. From a personal standpoint, I have to say that I know more about people I barely know than I do about some of my oldest friends. Some pullback would not be a bad idea. To businesses - particularly small businesses that are not marketing companies - my message is different. Get in the game. Here are a few really basic start up tips for small business that don't know how to start or if they should start. 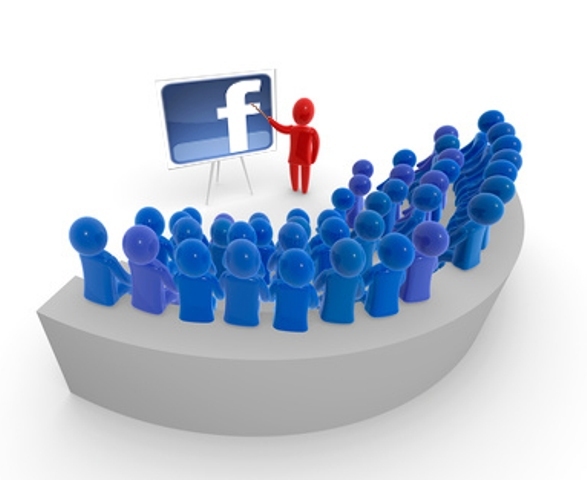 Create a Business page not a personal page: all Facebook pages are not created equal. Different types of pages are designed with different capabilities. Your personal page does not allow your the same capabilities that a business page will. Still you will need a personal page to create a business page. So if you aren't on Facebook at all, you will need to create a personal page first and then a business page. How? Check out this site for step by step directions on how to do it. Be sure you like the name, you can't change it: In our disposable world, it is hard to believe that something you create online can't be changed, but it's true. Pick your name carefully because you cannot change it. You also cannot transfer your "likers" from one page to another. If you change your business name or want to change your Facebook page name, you will have to start all over again to earn fans/readers. That's a lot of work, so think this decision through before you hit SUBMIT. Do you need a friendly name? Once your Facebook page is set up, you want to start cross promoting - link your Facebook page on your website and blog, post from your blog to your Facebook page, add your Facebook page and LinkedIn profile pages on your business card. It's hard to do this when your URL is a collection of numbers and letters. To get a friendly URL, you need at least 25 likers. Once you have that, go to https://www.facebook.com/username/ and select your vanity name. Your url will be: www.facebook.com/vanityurl. Do not let an employee start your Facebook page: Every boss loves employees who want to take initiative. But this is not an area where you want any employee to take control of your social media. Because Facebook pages are tied to a personal account, an employee who leaves your employ can take your Facebook page with them. Additionally, Facebook creates a personal relationship between you and your fans, likers or customers so it should have a voice and tone that is yours, not a random employee. Develop a schedule and try and be consistent: You don't have to post every day, but you do have to have some kind of plan and schedule for how you will use Facebook. Regular postings help attract likers. We are quickly becoming inundated with information, so adding to the noise every day without providing something significant is neither necessary nor welcome. But decide what you have to offer and how often you think you can do it. The important thing is to do what you say you will do. Don't promise a daily post if you can't produce it - and most can't. Remember, posts don't need to be long - but they should be informative. Don't date your content: Don't do today's menu special if you haven't posted in weeks. It makes people look at the date and draws attention to the fact that the content is outdated and that you're not living up to your promises. Just keep dated material out of your posts or obscure the dates. "It's a great day for soup. Stop in and check our our daily special..."
Don't sweat the small stuff: When you go to a networking event or to meet with clients, you don't put on your grungiest clothes, hunch over your shoulders and practice your whiniest voice! No, you dress professionally and put your most confident image forward. And that's what you want to always do on Facebook. If someone writes something on your page that you disagree with, let it go. They have their opinion; you have yours. No one ever got successful arguing in public with their customers. If someone writes something negative about your business, resist the immediate temptation to remove the post. Yes, people may see it; in fact, they probably already have. Instead, respond to it with an acknowledgement that they feel they had a bad experience and some offering on your part to make it right. Again, imagine you are having the argument at the front counter of your store and act accordingly! Readers will forget the small slight, but they will remember your response. A social media consultant can help guide you and help establish mechanisms in your business to make sure good information is posted and that you get the bang for your social media buck. A consultant can handle day to day postings, write blog posts and answer queries, but not without your input and information. It is YOUR business you are promoting, so don't leave it in the hands of someone else and walk away. That won't grow your relationships. As with all things, remember: It works if you work it!